beautiful Design, Rich Colors And Romantic Appeal, Fanimation?s Bayhill Collection By Lauren Brooks Is Not For The Faint Of Heart. The Bayhill Collection Exudes The Type Of Old World Class And Sophistication That Is Perfectly Suited For Any Room With A Dramatic Flair. The Bayhill Collection Is Available In A Luxurious Venetian Bronze With Caro Purple Finish Custom Wood Blades. 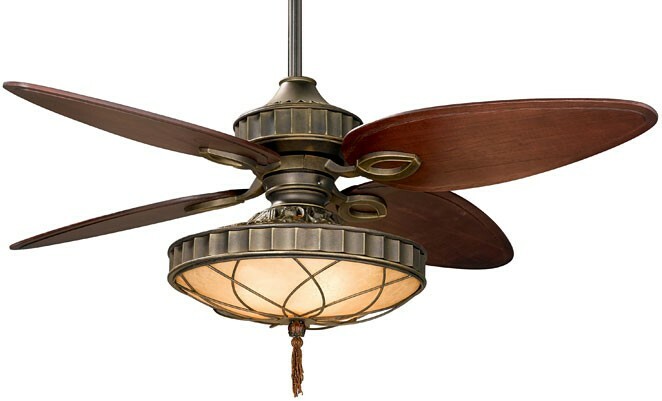 This Opulent Fan Can Be Paired With Either An Amber Glass Bowl With Decorative Filigree Or An Amber/brown Mosaic Glass Bowl. The Bayhill Collection Accommodates A Ceiling Slope Up To 30 Degrees And Includes A 6? Downrod.